The original Langrisser for the Genesis was released in the U.S. as Warsong. 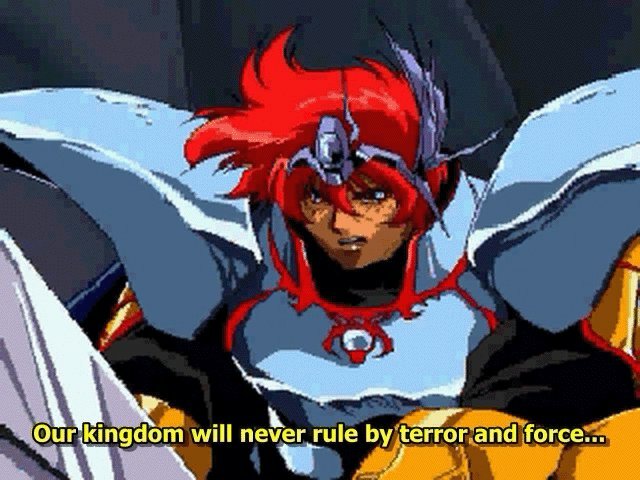 The game proved to be so popular (in Japan) that it made way for tons of sequels (in Japan.. and mostly for Saturn), and the original Langrisser was eventually remade for the Playstation, which was in turn ported to the Saturn. SoftAction took this Saturn edition, ported it to Windows, and released it in Korea. And this is what this is. By the way, it is absolutely staggering how many games will simply refuse to run in Windows 2000. Just an annoying observation. D, Moon Knight and crew have done a really impressive job here. All the audio tracks in the game have been replaced with better-quality arranged songs, not to mention all of the Korean voice acting replaced with the original Japanese (with subtitles). It’s just a shame I can’t play it, due to my (suddenly) worthless operating system. Perhaps now’s a good time to upgrade! The game also won’t run unless the CD is specifically in the D: drive, but there’s a patch out that can fix that. There’s also a patch that D released that fixes Böser’s name, and fixes unit information. Thanks to D for the images! Please consult the read-me file about the patches included. Also included are the English scripts and extraction tools for those who wish to translate the game into another language.